Why Are Tankless Water Heaters So Expensive To Install? 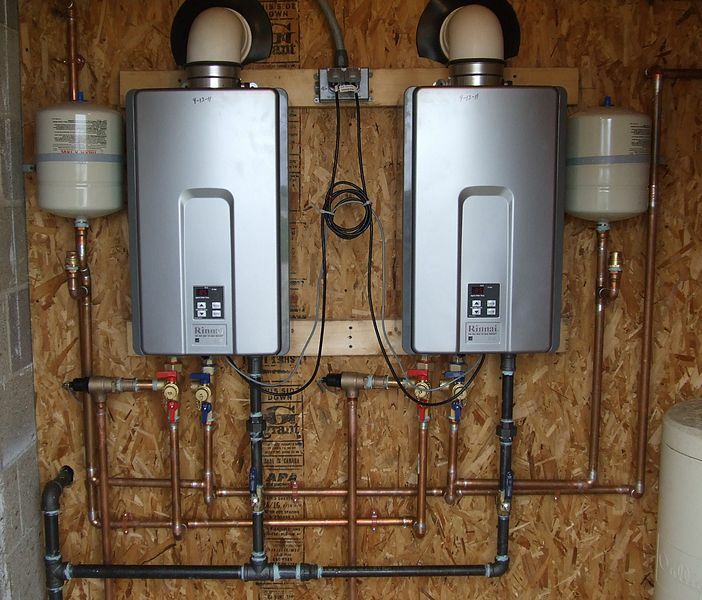 You may be considering replacing your home's or business' water heater with a tankless unit. According to HomeAdvisor.com - the typical range of cost for installation of tankless water heaters in the Atlanta, Ga. area ranges from $3200.00 to $4000.00 per unit plus parts and labor. Generally, it's twice the cost of installing a standard water heater. Before you make your decision on whether or not to go tankless, read about the things you should know about these energy saving units and how to choose one. The labor involved in installing a tankless unit varies simply because of where the unit will be installed. Some homeowners also purchase more than one tankless unit, depending on the size of their house and their water needs. The old system must be removed. When installing new gas lines and/or water lines, walls and/or ceilings may have to be opened. If walls / ceilings are opened then comes the cost of repairing them with drywall and paint and sometimes repair of molding. So, you see, it's more than just replacing your old water heater - hence the higher cost of installation. All work should be done by a licensed plumber with Tankless Certification. If you have any questions about tankless hot water heaters or would like our professional service to install one for you, call Atlantis Plumbing today at 770-505-8570.